While the residents of Barcelona celebrate a large number of Catalan festivals, the biggest is La Mercè. Held at the end of September this huge street party is held in honour of Mare de Deu de la Mercè, the Patron Saint of Barcelona and lasts for around five days. Popular events include Castellers, where the aim is to build man towers and the Correfoc, where groups of ‘devils’ take on a ‘fire run’ involving thousands of fireworks. 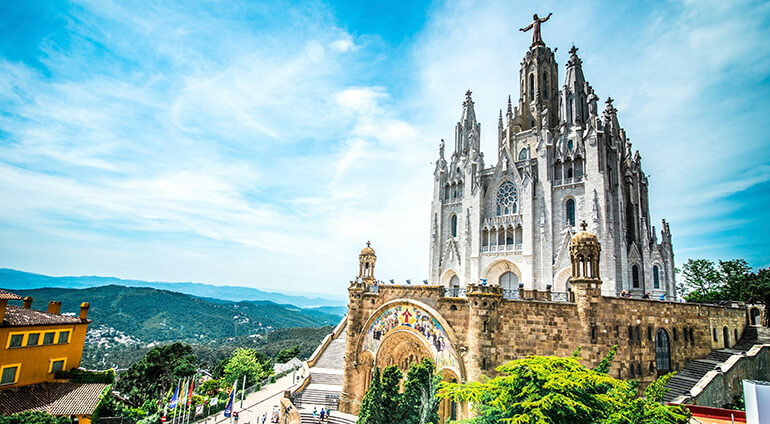 Other major festivals include Día de los Reyes Magos (Kings' Day) in January and Feria de abri in April, a celebration of all things Spanish, including a week long flamenco festival. An all together different type of festival is Monegros, the biggest Electronic music festival in Spain, held in the desert just outside of Barcelona, usually held in mid-July.